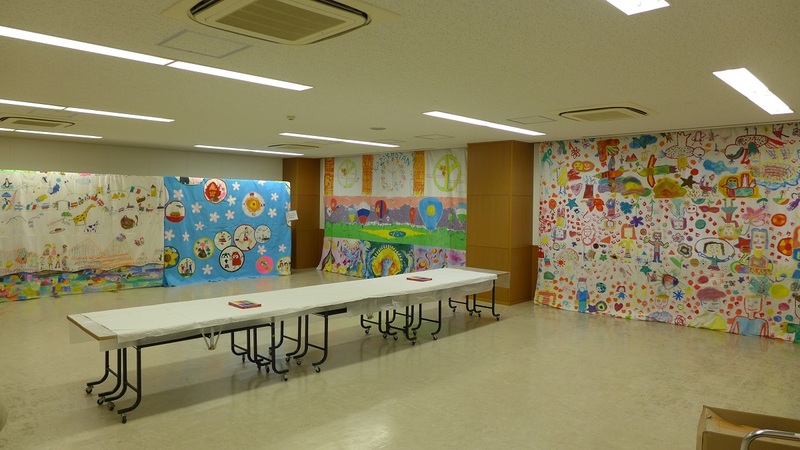 The exhibition of the Biggest Painting in the World 2020 in Chuo-ku was held at Tsukiji Social Education Hall as a part of Marugoto Museum 2015 held by Chuo-ku during 31th October – 3rd November 2015 PM14:00 – PM18:00(3rd November PM14:00 – PM16:00) the big paintings from Serbia, Montenegro, China and Kazakhstan are exhibited. 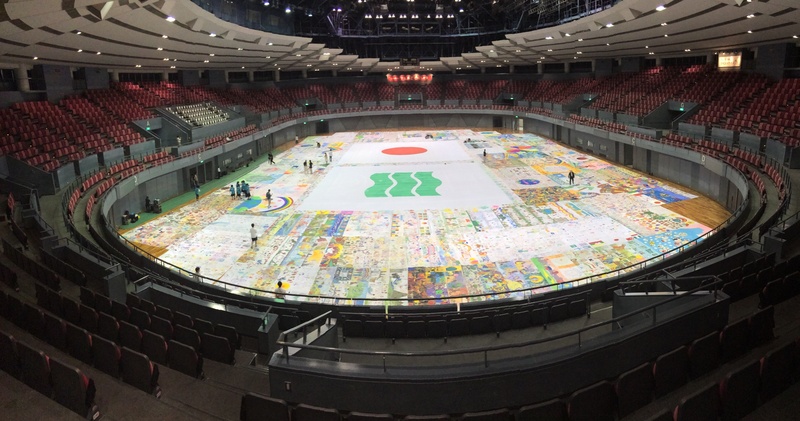 The Biggest Painting in the World was displayed at Tokyo Big Site. 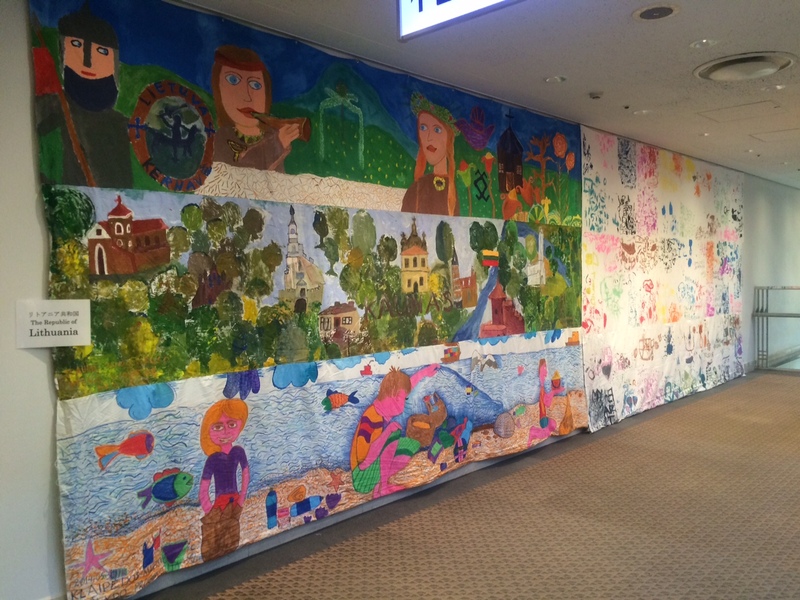 The Biggest Painting in the World was displayed at the international exchange corner of the Global Business Zone of the 28th Tokyo Business Summit 2014 held at West 4 Hall of Tokyo Big Site. The paintings displayed were those painted in Kazakhstan, Lithuania and Brazil during October 2~3, 2014. 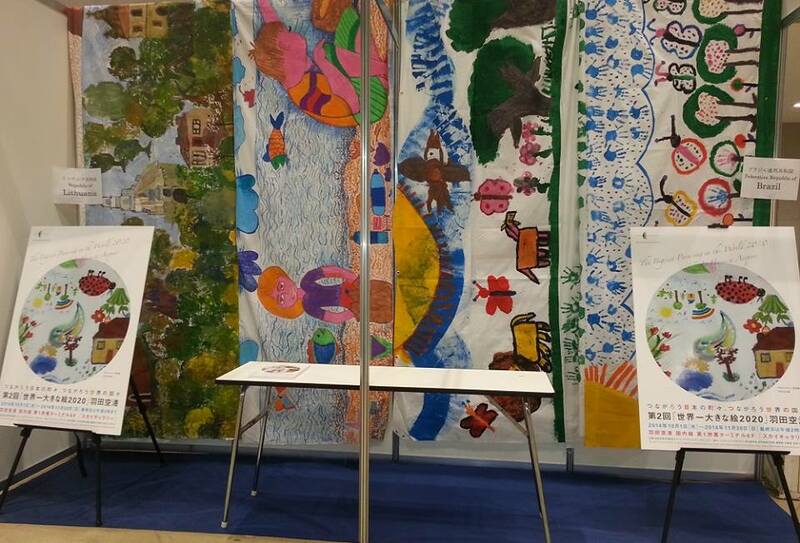 The cotton sheeting painted by the children of Kazakhstan has come back to us. 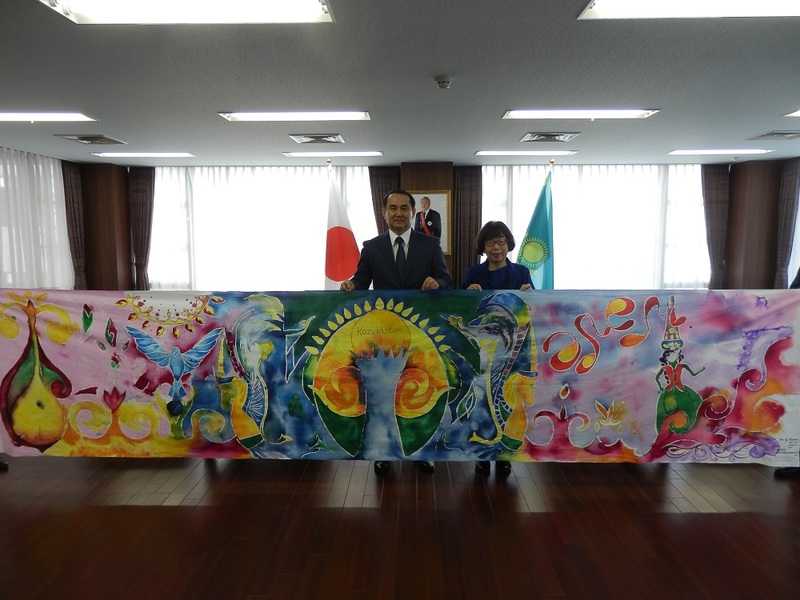 Embassy of the Republic of Kazakhstan: The cotton sheeting painted by the children of Kazakhstan has come back to us. Embassy of the Republic of Kazakhstan: We visited Embassy of the Republic of Kazakhstan and presented cotton sheeting for the painting. Visited the Embassy of the Republic of Kazakhstan to return thanks for the Kick-off Party for the Biggest Painting in the World on May 28. 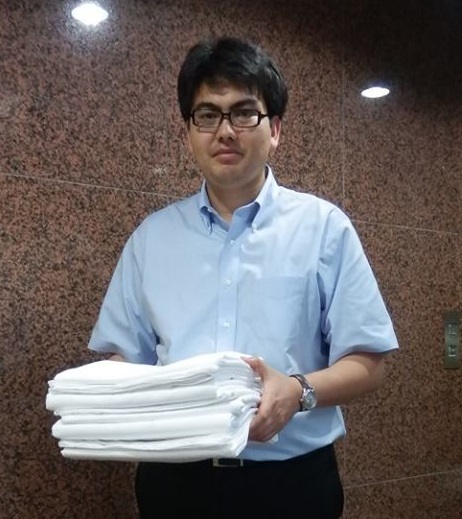 Embassy of the Republic of Kazakhstan: We presented cotton sheeting for the painting. 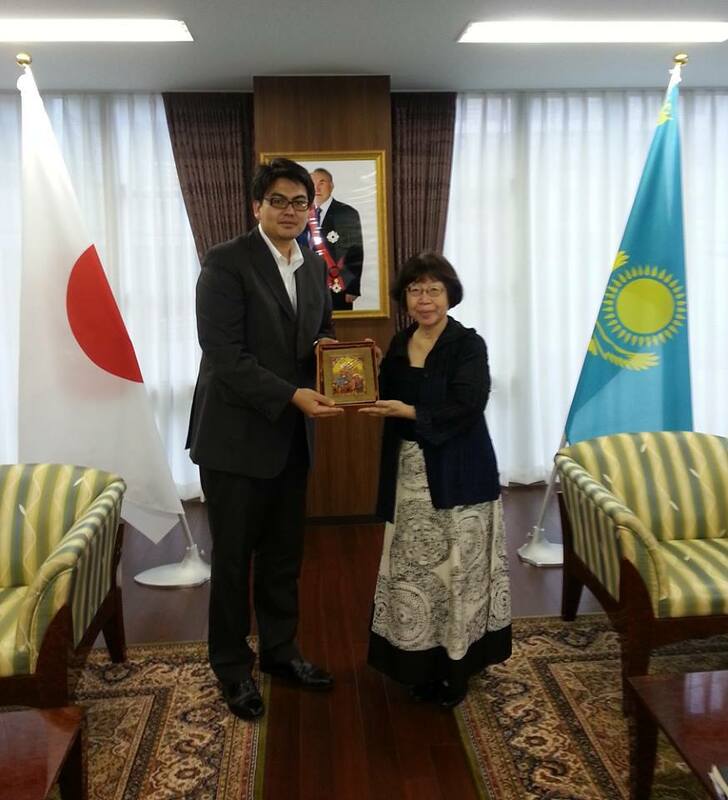 Embassy of the Republic of Kazakhstan: We were given the consent to participate in this project.